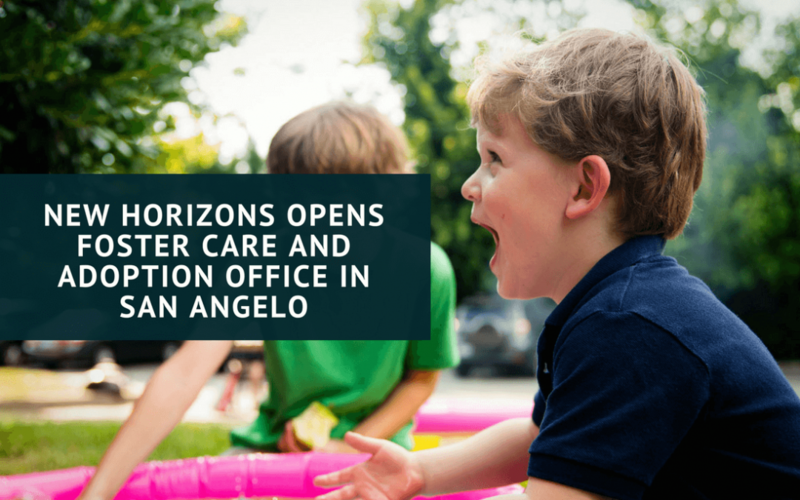 September marked the opening of New Horizons’ newest foster care and adoption office in San Angelo, Texas. Located on Knickerbocker Road, the San Angelo office will provide therapeutic foster homes for children in Tom Green and surrounding counties. Foster care is an essential service for children and parents who must live apart due to abuse or neglect while maintaining legal and, usually, affectional ties. If you are interested in becoming a foster parent, visit our Be a Foster Parent page or contact New Horizons at (325) 437-1852 or on their website at www.newhorizonsinc.com.